1. The main mixer adopts JS2000 double horizontal axle forced concrete mixer, which has good mixing quality and high productivity. It can mix well in ideal time for concrete with dry hardness, semi-dry hardness, plasticity and various proportions. 2. The whole structure of 120 concrete mixing station is atmospheric, which can be disassembled and assembled quickly and transported conveniently. 3. Choose a variety of different layout forms to suit local conditions and meet site requirements. 4. All measurement and control elements are imported components, which fully guarantee the accuracy and stability of measurement. 6. There are platforms or ladders in each maintenance and maintenance part. High-pressure pump cleaning device is installed for main engine cleaning, which has good maintenance performance. 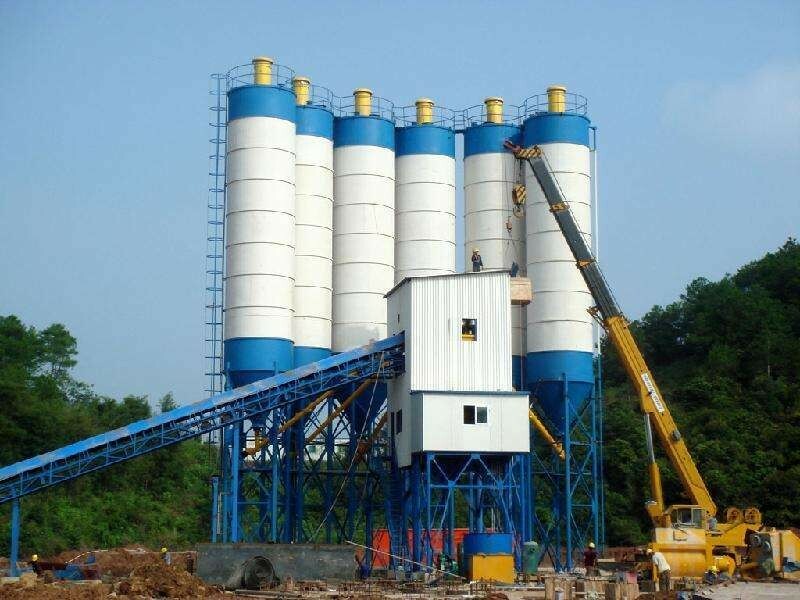 The cement silo is used for storage of bulk cement. The bulk cement silo is a closed tank for storing materials. 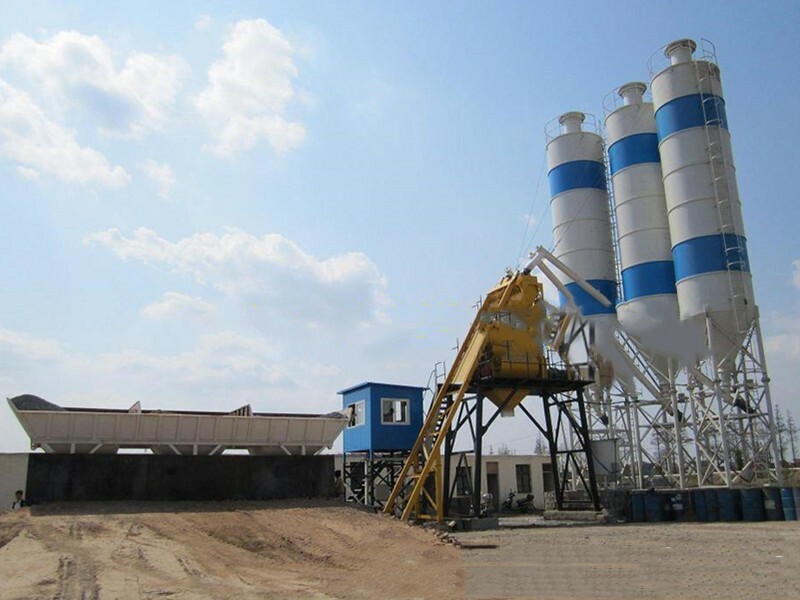 With the development of social construction, cement silos are used more and more widely in the construction area. The conveying system of 120 concrete mixing station includes aggregate conveying and powder conveying: belt conveyor is often used for aggregate conveying, screw conveyor and pneumatic conveying are often used for cement and admixture conveying; dust generation is minimized for aggregate conveying and powder conveying; conveying speed and efficiency of the conveying system need to match the circulating time of the system.